Martha's Vineyard is home to ex-Boston cop J.W. Jackson, his adored wife Zee, their toddler Joshua, and newborn daughter Diana. For others, the picturesque vacation spot is a relaxing escape from a world filled with trouble. 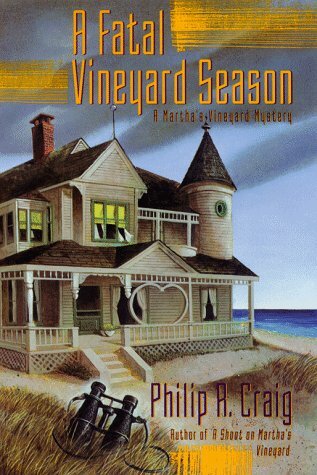 But there is no escape for Julia Crandel and Ivy Holiday, two Hollywood actresses staying in the Vineyard town of Oak Bluffs. Their arrival has incurred the wrath of a pair of local gangsters, and a deadly stalker from out of the young ladies' past has found out where they are hiding. Twin hurricanes are about to slam the idyllic island -- one a natural climatic disaster, the other an all-too-human catastrophe -- and it looks as if J.W. is going to get caught in the middle. And since his conscience won't allow him to abandon two frightened, helpless visitors to the fury of the coming storm, he stows away his fishing gear, sends his loved ones off-island...and dives headfirst into the tempest.